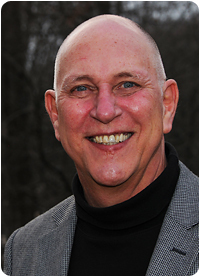 The Forgiveness Center - The Time for Healing is Now, John Chupka's Personal Journey 1. YES I WOULD LIKE TO BE ON YOUR MAILING LIST! Please add me to your mailing list for updates and information on events and happenings! For more than four decades John Chupka has been helping people heal their broken hearts. His seminars provide a practical and theoretical understanding of the healing power of forgiveness. He has been a student and teacher of the Course in Miracles for over 25 years. John is also a creative humorist and singer-songwriter. His transpersonal healing meditation CD’s entitled “Transcending” utilize the principles of Ericksonian Hypnosis to assist people in the recovery of their natural healing abilities. In 1991 John founded The Forgiveness Center; a spiritually based practice of Psychotherapy and Transpersonal Education. Before establishing the Forgiveness Center, John was co-founder of Focus; a private mental health center that utilized the pioneering principles of Brief Strategic Therapy. John received his M.S.W. from Syracuse University and his B.A. from Siena College, and is a Licensed Clinical Social Worker.